Kingston, New York, located in the Mid-Hudson Valley’s Ulster County, has been known for many things during its long history. It was once a center of commerce, where valuable goods were shipped up and down the Hudson River. It was also known for producing magnificent wheat. However, many individuals are still not aware that Kingston was declared New York State’s first capital in 1777. In fact, New York State’s first Senate met at what is today Clinton Street in Kingston, New York. Initially, the Senate met in the home of Abraham Van Gaasbeek from September to October 1777. When the British burned down most of Kingston, including the Van Gaasbeek’s home, the New York Senate along with the population of Kingston were forced to flee. In 1777, New York created its first constitution, thus forming the State of New York. The new government of this state met in Kingston because it had been forced north when the British invaded New York City. In Kingston, this new constitution created a senate, governor, assembly, and judiciary. 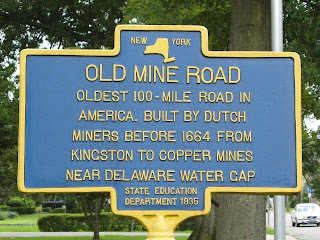 As a result, for a short period of time, Kingston was officially considered to be the capital of New York State. The New York Senate met in a limestone dwelling built in 1676 by Wessel Ten Broeck. It eventually passed to Abraham Van Gassbeek who was a store owner. He had married Sarah Ten Broeck the daughter of Wessel Ten Broeck. 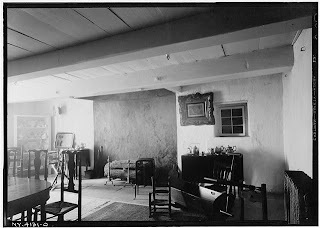 It is during the tenure of Van Gaasbeek that the dwelling was used as a meeting place for the New York State Senate (from September 1777 to October 1777, as mentioned above). The New York State Assembly, meanwhile, met at the Bogardus Tavern. The New York State Senate as well as the residents of Kingston was forced to flee in October 1777 in advance of General Vaughn’s expedition up the Hudson River in an effort to assist Major General Burgoyne. Burgoyne was ultimately defeated and on October 16, 1777, the British, under the command of Vaughn, put Kingston to the torch. One of the buildings burned by the British was where the Senate met. Luckily, the records of the new government had been sent further inland, to what is today Kerhonkson, to be stored at the home of Johannes Hardenberg. His home stood near the corner of US 209 and State Highway 44/55. Van Gaasbeek’s home was rebuilt and continued to be a residence with a colorful history. This historic house was finally purchased by the State of New York in 1887, 110 years after the burning of Kingston by the British and the creation of the first New York State Constitution. A museum building was added later in 1927 to house the all of the artifacts accumulated and donated to the Senate House site. Perhaps one of the greatest treasures at this site, and there are many, is the large collection of John Vanderlyn and paintings attributed to Pieter Vanderlyn. John Vanderlyn, who was a Kingston native, was born in 1775 and studied with Gilbert Stuart. He was also sponsored by Aaron Burr. John Vanderlyn became one of the United States’ first nationally recognized artists. Pieter Vanderlyn was not born in Kingston, but he did settle in the Hudson Valley and spent considerable time in Kingston. His son was John Vanderlyn. This large collection has recently caught the attention of both local and national scholars. This three acre Senate House site allows you to retrace some of the steps of the British soldiers as they “stormed through entrance to the historic Stockade district to burn the village of Kingston to the ground.” An exciting time for the site and Kingston is when each year in October the city hosts a recreation of the burning of Kingston. In addition, the site hosts many activities each year for both children and adults. Many of these events are free &#8211 they range from lectures by noted scholars to an African American festival held each year. Many of the programs are organized by the site with the assistance of Friends of the Senate House (FOSH), a volunteer group “to foster cooperation and partnerships” with the Senate House and its surrounding communities. This group also works to bring awareness of this important site. They are always looking for volunteers as well as donations &#8211 anyone can become a member. If the Revolutionary War is not your cup of historical tea, maybe the Civil War is what you are interested in as far as history goes. The Senate House houses a large collection of photographs relating to the Civil War. The grounds were used for many years for the reunions of the 120th Infantry Regiment. There are copious amounts of pictures, newspaper articles, and programs relating to these reunions. The Senate House State Historic Site is located in Kingston’s historic uptown Stockade district on Clinton Avenue, in Kingston, NY, 12401. This district has its origins with the Dutch who first settled the area and called it Esopus (and later Wiltwyck). They sought to protect themselves from the local Native Americans, named the Esopus, so they did this by constructing a stockade or fence around their tiny settlement. The Stockade District is the oldest part of Kingston. For more information about public programs, or their Friends groups, call (845) 338-2786 or visit them online. Special Thanks to Lisa Spada-Bruck and Dawn Elliott- Photo Courtesy of Library of Congress Prints and Photographs Division.